Science Fiction or an Insect? 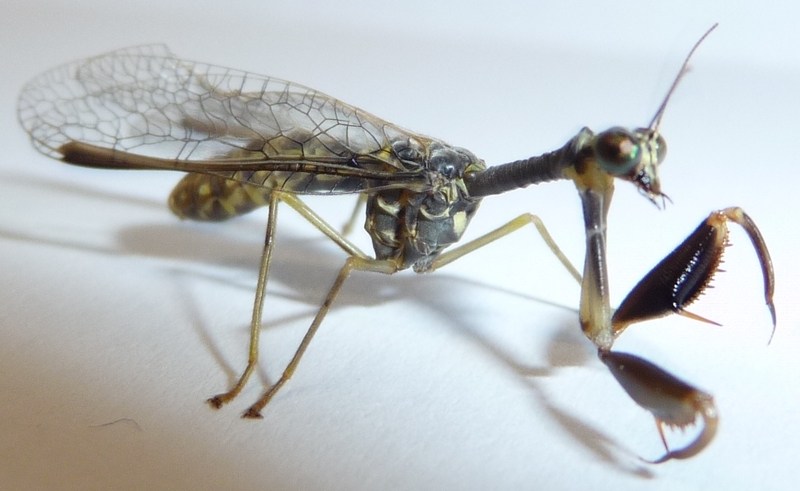 A Wasp Mantisfly! 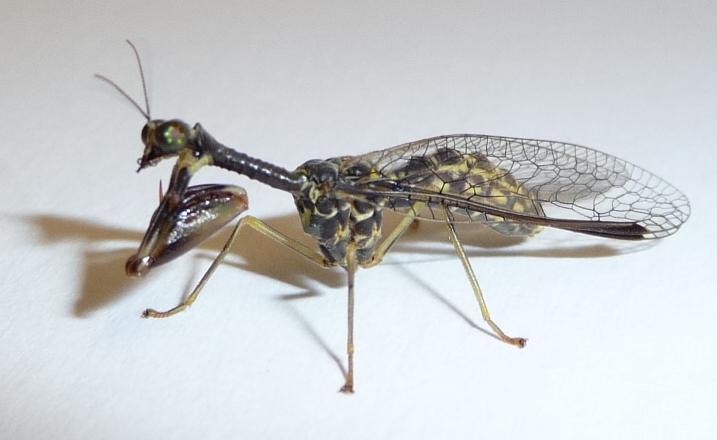 A few weeks ago I was extremely lucky to find this wasp mantisfly at my mercury vapor light at about 3 AM. Although you cant tell from the photos, it is only about 3\4" long. This was the first time I had seen one. While it looks like a small preying mantid, it is actually closely related to the lacewings. This particular species is probably Dicromantispa sayi. The common name is really interesting, combining a wasp (which it is apparently a mimic of, a mantid and a fly). I would not want to be a smaller insect when this thing came trekking around. It reminds me of an insect from those old Japanese Saturday afternoon science fiction flicks or the thing at the end of Men in Black that scales up the tower in New York. In any case, what an incredibly cool insect...enjoy. Looks like it was put together by a committee. or an insane entomologist messing around with spare parts from the bottom of a knocked around Cornell drawer! Quit smoking to quit snoring loudly. Once you breathe in tobacco cigarette smoke into your lungs, irritants are produced that affect your air passage and sinus membranes. The finished soreness brings about your throat to slim and contributes to your snoring loudly. Do not cigarette smoke prior to going to bed, or better still have up altogether. When on the water, be sure that you get at least one 60 minutes crack. This provides you with a chance to regroup and find your inhale so that you will are not fishing for hours at one time. When you are sportfishing with a small grouping of buddies on a big motorboat, have a simple rest before you truly feel you are ready to look once again.